Why Go With A Fully Coated Glove? 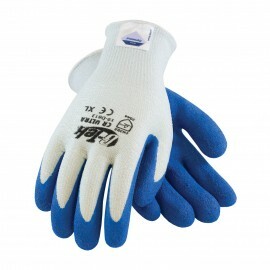 The benefits of a fully coated glove are numerous, especially for the budget-minded buyer. These styles can come with a nitrile, PVC or latex coating (among others) – and each material offers different properties. One of the benefits of latex, for example, is that it is extremely flexible and allows for dexterous hand movements. 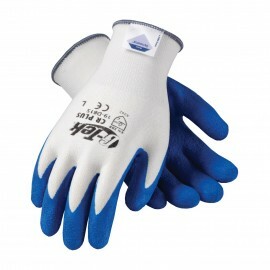 PIP Double-Layered Seamless Knit Hot Mill Double-Sided EverGrip Coated Glove - 32 oz. 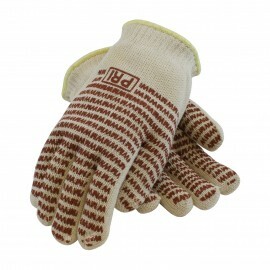 PIP Double-Layered Seamless Knit Hot Mill Double-Sided EverGrip Coated Glove - 24 oz. 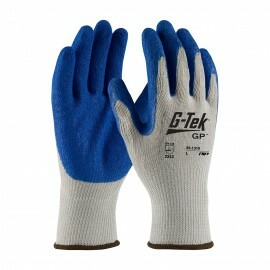 Varying Degrees of Thickness: Most coated gloves offer basic protection against cuts, abrasions, and chemical exposure. The level of protection provided will largely depend on the thickness of the coating. Typically, the thicker the coating, the more resistant it is to chemicals, cuts, and abrasions. However, if you’re looking to maintain dexterity in your hands while wearing your gloves, you should opt for a thinner coating. 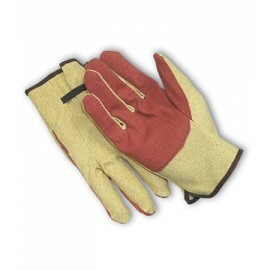 A Range of Fits: Some coated gloves also offer added ventilation through the use of an open cuff. This feature makes it easier to put the gear on and take it off. 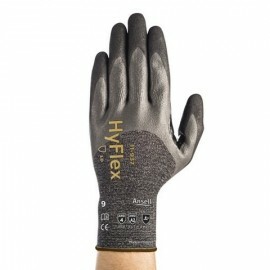 A nylon vented back, which is found on some coated gloves, is another excellent option to improve breathability and increase comfort. In terms of fit, our selection comes in a range of sizes and can stretch to fit well onto the wearer’s hands, resulting in a snug fit. 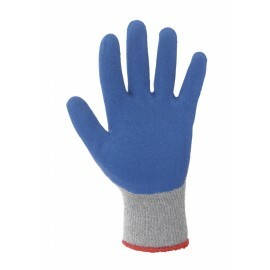 Coated gloves usually come in two varieties. 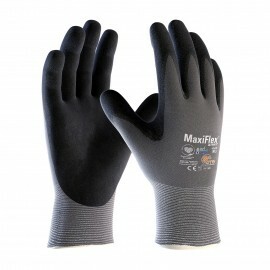 Fully Coated Gloves – This style is entirely covered with protective coating material. This option provides the wearer with multiple levels of protection from the coating, the in-between layer of material, and the liner (when applicable). 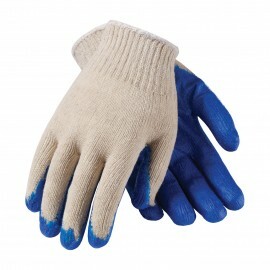 The coating material on these gloves is sometimes roughly textured in order to create a better gripping surface on the exterior. 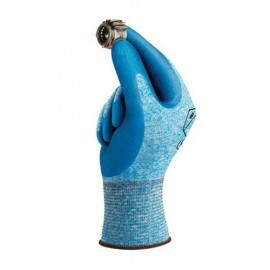 This, in turn, can improve your gripping abilities when it comes to slippery, oddly shaped, or wet objects. 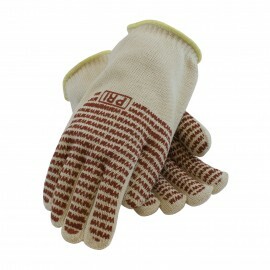 Partially Coated Gloves – This option has the coating material on a portion of the glove. In some cases, this offers several advantages: improved breathability, a greater range of movement, and, with less coating, the product will typically be cheaper. Part of the allure of a coated glove is its cost-to-feature ratio. These options have many of the benefits of more expensive styles but without the added costs. This is an attractive prospect to many, and for good reason. Why overpay for features that you may not necessarily need? 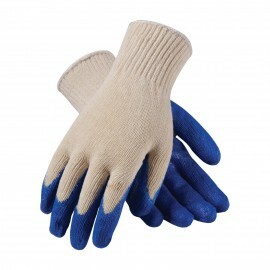 As a rule of thumb, coated gloves offer excellent general protection from a range of dangers. No matter if you need to protect yourself from cuts, abrasions, or chemicals, a fully coated model has the potential to meet all of the demands of your workplace. 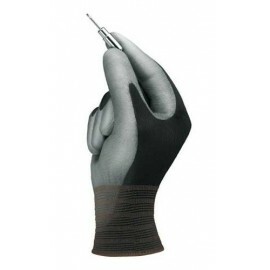 Not everyone will have a need for a glove that can protect against needle punctures. As such, there’s no sense in paying for such a feature when a fully coated option may already offer all of the coverage you need. Who Should Use Fully Coated Gloves? Choosing a fully coated glove option usually comes down to your needs. If you find that basic protection from cuts, abrasions, chemicals, and other dangers is sufficient, then this full-coverage style is often a logical choice. 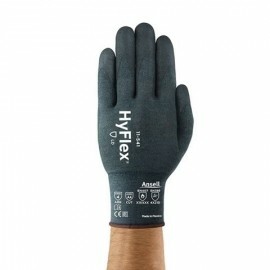 However, if you have more specific needs that fall outside of the capabilities of these gloves, you may want to look at some of the other work gloves we offer. What Do Fully Coated Gloves Protect Against? 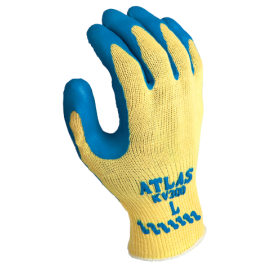 Mainly, fully coated gloves are designed to protect against basic hazards that may be found around the average work environment. These styles aren’t meant to be a specialized solution to any particular danger. 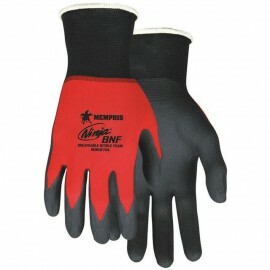 Instead, they offer well-rounded hand protection. Why Shop With Enviro Safety Products? 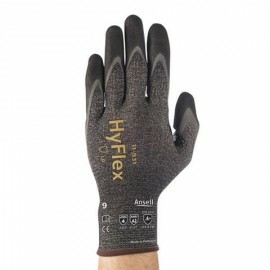 Our selection of work gloves is unmatched. Our customers have remained loyal to us over the years largely because of the excellent prices, promotions, and customer service we offer. 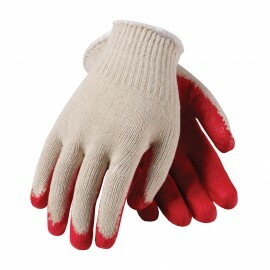 All of our gloves come in a wide array of sizes to fit the smallest and the largest of hands. We don’t make your buying experience complicated at Enviro Safety Products; instead, we simply aim to make you happy. After you receive your order, you’ll see why our customers keep coming back.